I am just an average scientist - what can I do? You see these big science stars who publish in Nature and Science. They have huge grants, a huge machinery of high-class technology and a huge team of highly ambitious postdocs and PhD students who hope to publish in Nature or Science. But you are not like that… How to handle the feelings of inferiority when you compare yourself with these science stars? And how to become better anyway? Is excellence a smart goal? When we organize courses for PhD students and postdocs “to become excellent in research” many of them are overwhelmed by the aim of “scientific excellence”. A handful of young researchers has a burning ambition to become excellent – and mostly they succeed. 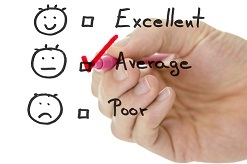 Unfortunately, the large majority tends to interpret “excellence” as an unrealistic or even unattractive aim. During the last decade, I realized that a few simple strategies can help young researchers to overcome the feeling of being overwhelmed by the concept of “excellence”. 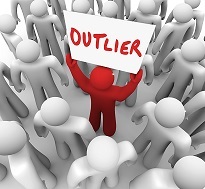 Change your perspective – scientific stars are outliers! The first and most important step: stop comparing yourself with persons who are much more experienced and have worked much longer on their careers. If you are a young scientist do NOT compare yourself with a scientific star who publishes high impact papers since the late eighties – it is impossible NOT to get depressed when you do that J. You must realize that these scientific stars are outliers. In other words, most scientists are by definition “average” and find themselves in the middle of the bell curve. Do not compare yourself with outliers. Do not call yourself “just average”! It is a big psychological mistake to define yourself as “just average” or “just mediocre”. You may argue that this is just a way of being modest and humble. However, in most cases it will be interpreted as a sign of low self-esteem. In addition, people tend to accept negative judgments about you – especially when you make them yourself. Thus, never call yourself “just average”. At least not in public :). Do you really want to become a science star? Most scientists envy the big science stars – but would you pay the price for such a success? Many scientists feel perfectly fine with their life and their ambition. They do not want to pay the price to become a science star in academia or industry. It is a hell lot of work which is often not compatible with a healthy family life and other interests e.g. culture or sports. For a high level career a high level of focus is necessary which has high opportunity costs (when you focus on one activity you cancel other activities which may have similar value). Thus, a strong focus, high motivation, endurance, hard work and long hours are necessary for most high level careers. Nevertheless, most people who have passed a midlife crises consider their career as just one element of many for a fulfilled life. Make a conscious decision whether you want to pay the price for the career you choose. Definitely. There are many researchers who are experts in their field and found a stimulating and/or comfortable niche and consider their career as ‘successful’ although they do not publish in high impact journals on a regular basis. Interestingly, many successful researchers publish just one or two high impact papers and change their publication strategy after they have been tenured. This does not necessarily mean that they become lazy or lose ambition. Quite often they simply developed a broader perspective and consider high impact factor hunting as an unhealthy strategy for scientific productivity or quality. In contrast, they work continuously on research questions they find relevant and develop a broader oeuvre. This may lead to high impact factor publications but they are not the primary motivation. However, this attitude is much easier to develop when you are a professor and have a secure position until retirement :). How to become a better scientist? To address this question and to find good answers it is of pivotal importance that you define clearly what it means to “become a better scientist”. Excellence is difficult to define because there are many different types of excellence or success in science. To get a clear view about your own wishes, talents and possibilities you must first define what a successful career in science means to you and which parameters of excellence in science you find important. 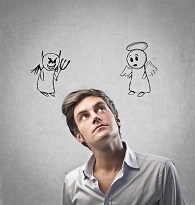 It is also useful to understand whether you have internal conflicts which impair your motivation. 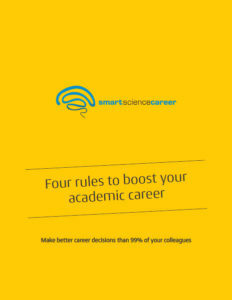 To build a successful career in science you need a long-term perspective and strategy. Many researchers do not have a 5-year or 10-year plan for their career which makes intelligent long-term decisions not very probable. Choose one of the million books about identifying a mission and defining goals (e.g. the classic First Things First by Stephen Covey et al). This will help you more than anything else to pursue a career you care for. Your environment defines your performance – choose it well! If most people around you focus on teaching or administration and hate research you will sooner or later tend to focus on teaching or administration as well – or leave the environment. If you are working in a very ambitious environment with a lot of technical support, intellectual stimulation and sufficient peer pressure it is probable that you adapt your working behavior. Depending on your long-term strategy you should choose your working environment wisely. Most young researchers do NOT want to work in a highly ambitious academic environment with s even competitive postdocs who all work on the same big project and who all want to be the first author on the next Nature paper. Consequently, they are going to find a job in an environment which is more appropriate for them. For example, if you want to help patients with a specific disease you do not necessarily have to work in a research group which is strongly focused on publishing Nature and Cell papers. Maybe it is much better to join a very clinically oriented lab which focusses more on the day-to-day needs of patients. Decide whether you love to solve scientific riddles or enjoy building complex instruments, whether you love writing texts and/or manage a team. Finally, some jobs are better suited than others for your personal combination of a successful career and a healthy family life. These are important choices which have to be made consciously to avoid feelings of inferiority and to pursue a career you enjoy. Please tell us what you think and add a comment. PreviousDo I need Nature or Science papers for a successful career in science? NextDo postdocs need leadership skills? Thanks for addressing an issue that has been occupying my mind for the last few years! It’s good to see all tips I got over the years summarized nicely here. Indeed, we as (young) scientists need to be conscious of our own responsibility in our career development. But deciding what we want, both professionaly and personally, is difficult. My advice: find a mentor in your surroundings that you admire and have the courage to talk with him/her openly about your fears, doubts and choices you face. Discussion and reflection will help you develop a suitable career path. This is a very relevant post for many of us. I think it is okay to be ambitious, but this blog made me realise that we should not be too harsh on our self. What is an eyeopener to me is the concept by Jim Rhone that “you are the average of the five people you spend the most time with”: If you have been in labs that have never published in Science or Nature, it is rather unlikely that you would be the first to change this. Some part is in our career is luck, but by making a conscious choice early we can create the right environment to become very lucky. While becoming published in a scholarly journal may be beyond what many of us will achieve, I don’t think that is what is meant by striving for excellence. A scientist can still strive for excellence by ensuring that he takes into account details and scientific principles, that she measures exactly and precisely, that contingencies and alternate hypotheses are accepted, addressed, and accounted for, and that all ethical measures are included in research. When one conducts research, ensure that it is new or that the design of the experiment is clean and concise. Don’t be lazy in developing new hypotheses or accepting the status quo. Getting published or getting rewards are merely the end results of excellence, not markers of the excellence itself. Once we realize that the method is the ends, then we can all achieve excellence. Dear Bob, thanks a lot for pointing this out – indeed I have not distinguished clearly between the “way” (excellent methods etc.) and the “results” (rewards, impact factors) in this post. Indeed, this is one of the big problems of bibliometric measures – they make us a bit blind for the quality and relevance of the research. This article was very enlightening to me. While no longer a “young” scientist, but also not an “old” one either, I wish that I had chosen my doctoral supervisor along the lines described in this blog. Instead, my supervisor had 25-30 students, and -while very well connected- was on record for not caring about what happened to his doctoral students after they graduated. So for all of you who have yet to decide: be very careful about this major decision. Speak with FORMER students who have already graduated from that research group. Thank you so much for this comment. Yes, indeed, talking to FORMER PhD students is a great advice.